Drivers of old and polluting vans and taxis have been offered fast-track options and incentives to purchase electric vehicles (EVs), with revamps to licensing and a new £42m taxi fund set to increase compliance with the diesel vehicle phase-out. Following on from Environment Secretary Michael Gove’s launch of the Air Quality Plan last week, which included a ban on all new petrol and diesel cars and vans from 2040, both Transport for London (TfL) and the Department of Transport (DfT) have launched new EV initiatives. Mayor of London Sadiq Khan announced on Friday (28 July) that TfL would host a £42m fund to encourage owners of older and polluting diesel black cabs to retire them from the Capital’s fleet. Owners of black cabs between 10 and 15 years old can check whether they are eligible of a “delicensing” scheme and to apply for a grant worth up to £5,000 to retire a taxi. The three-year scheme will attempt to speed up the process of tackling the illegal pollution levels in London’s air as part of a long-term goal of making the Capital a zero-carbon city by 2050. “The plans announced by the Government this week go nowhere near the action needed. Cleaning up London’s taxi fleet will play a significant part in our toxic air battle and there will be no new diesel taxis licensed in London by the end of this year. From January 2018, no more new diesel taxis will be licensed in London, and the London Taxi Company officially rebranded after unveiling its new electric model. 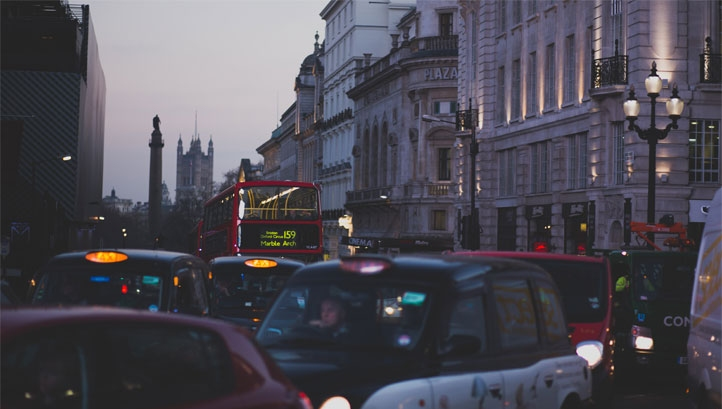 Taxis are thought to be responsible for 16% of NOx and 26% of particulate matter (PM) road transport emissions in central London.